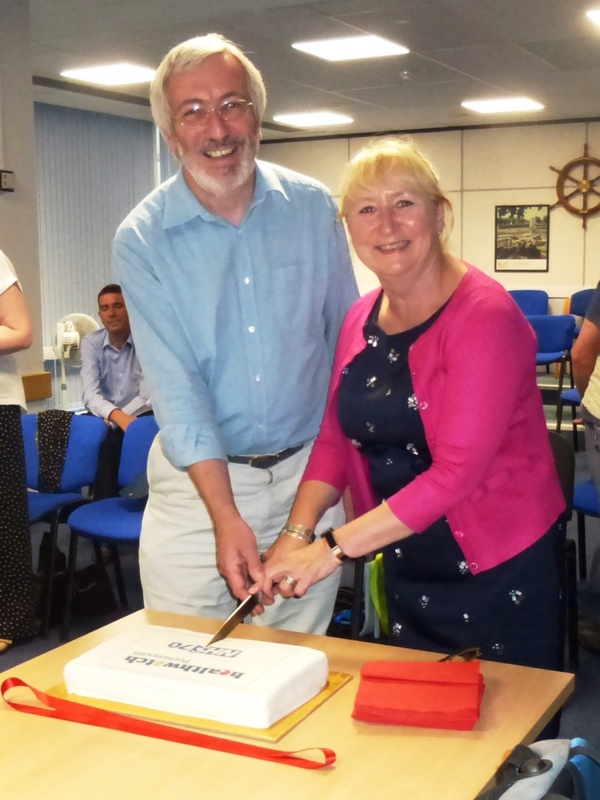 Healthwatch England Director Imelda Redmond cuts cake to celebrate NHS 70 at our AGM! We were joined last night at our Annual General Meeting by Healthwatch England Director Imelda Redmond. Imelda gave a speech outlining Healthwatch England’s strategy for the next five years and the relationship with local Healthwatches. Imelda then joined with Healthwatch Portsmouth Chair Graham Heaney to cut a cake to celebrate the 70th anniversary of the foundation of the NHS. At the AGM we also heard from one of our volunteers, Graham Keeping, who outlined his experiences of volunteering with Healthwatch Portsmouth and the impact he felt he was having as a volunteer. Papers and presentations from the AGM will be available here shortly.